Post Graduate Scholarship totaling £200,000 every year is offered by Kingston University along with international scholarships each worth £4,000. 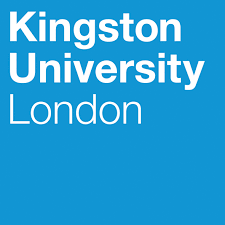 These are open to prospective full-time postgraduate students in any subject area on a one-year taught master’s degree based at Kingston University. Scholarships are available for both September entry and January entry. The scholarship amount is not paid in the form of cash instead the candidates receive a waiver on the Tuition Fees. Applications for January 2017 are now open and close on November 16, 2016. Academic Qualification: The candidate should have an offer of a place on a course at Kingston for 2016-17 entry. How is the international scholarship discounted from the fees? If the candidate is paying The Tuition Fees by installments then they will receive the £4,000 deduction on the last installment. If the candidate is paying The Tuition Fees in advance, then they will receive the £4,000 deduction immediately and the tuition fee will be adjusted accordingly. Candidates can apply via the online system for the international scholarship. Acknowledgment: Candidates will receive a confirmation email upon completion of your online scholarship application form. The Scholarships Committee makes the decisions on scholarship applications.